As a young child growing up in Green Bay, Wisconsin, John A. Wagner once worked hard in his early education class crafting a green and red chain of construction paper as a Christmas gift for a very special adult. It wasn’t for his teacher. Or one of his adoptive parents. Mrs. Biebel lived only a few blocks away from Wagner’s home. But she was even closer to his family in many other ways: standing with his siblings through the adoption process and providing support and, yes, love as they grew into their new family. “She was my champion for children,” Wagner said. Today, Wagner credits the kindness and advocacy of Mrs. Biebel and other county social workers not only for helping himself and his three siblings be adopted into a wonderful family, but also for peaking his lifelong passion for helping other young children. Wagner went on to earn a bachelor’s degree from Marquette University, a master’s degree in Public Policy from Georgetown University and a master’s degree in Public Administration from Harvard University’s John F. Kennedy School of Government. 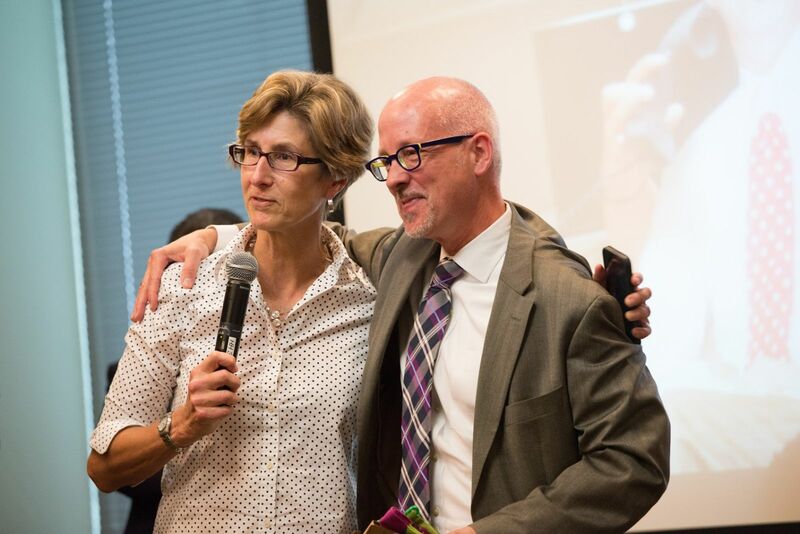 During the next two decades, Wagner developed an impressive wealth of experience in health and human services. He served as Director of the California Department of Community Services and Development from 2011-2012, and Director of the California Department of Social Services (CDSS) from 2007-2011. At CDSS, he oversaw a budget of over $20 billion and programs affecting California's most vulnerable residents including foster children and youth; children and families receiving aid through the California Work Opportunities and Responsibility to Kids (CalWORKs); and children and adults in state-licensed community care facilities. Wagner has served as senior policymaker and advisor to both Republican and Democratic administrations in Wisconsin, Massachusetts and California. Prior to coming to California, he served as the Assistant Secretary for Children, Youth and Families for the Massachusetts Executive Office of Health and Human Services, where he coordinated policies and programs across many state agencies. Additionally, Wagner served as the state's Commissioner for the Massachusetts Department of Transitional Assistance (the welfare department) from 2002 to 2007. In December 2012, Wagner was named the first Chief Operating Officer of First 5 LA, overseeing all internal operations at First 5 LA under the direction of the Executive Director. Responsibilities included aligning the organization’s grantmaking strategies, internal capacity, contracts, and strategic partnerships to achieve First 5 LA’s organizational priorities and the Executive Director’s goals and objectives. Additionally, Wagner reviews and assesses the organization’s strategic plan and implementation measures, identifies opportunities to enhance impact, and implements new processes and approaches to achieve strategic objectives. With the recent addition of Carl Gayden as Senior Director of Administration, Wagner’s role has begun a transformation. Soon, he will be officially appointed as First 5 LA’s Executive Vice President. In his new role, he will be responsible for working to develop partnerships with county government to find ways to align First 5 LA’s work with county priorities. By so doing, First 5 LA’s work will leverage and be sustained by county systems in ways it might not otherwise be. Additionally, Wagner will oversee First 5 LA’s departments of Human Resources, Finance, Contracts Compliance, Information Technology, Facilities Management, and Records Management. Wagner has already laid the groundwork for his new role in recent months by meeting with county leaders to discuss and develop potential points of collaboration in order to provide better outcomes for young children. “My biggest change is engaging with external county leaders to align the priorities of First 5 LA and Los Angeles County,” Wagner said. Some of the potential areas of alignment and collaboration with local government include homelessness, trauma-informed care, child welfare and protection from abuse and neglect. To this end, Wagner has held discussions with the Los Angeles County Department of Public Social Services, the new Los Angeles County Office of Child Protection (OCP) and leaders within the Los Angeles County Chief Executive Office (CEO), which is working on behalf of the county on solutions to homelessness. One challenge to his new work, Wagner said, is changing some old perspectives about First 5 LA. “In the past, First 5 LA has been seen primarily as a funder. We were not seen as a partner,” Wagner said. For example, running a large county department often requires a disproportionate amount of time be spent on crisis management, Wagner said. This leaves less time to develop innovation and seek out best practices being applied elsewhere. One example where First 5 LA’s innovation could bring benefits to the county is Best Start Communities. Located in 14 communities throughout L.A. County, Best Start brings together parents and caregivers, residents, organizations, businesses, government institutions and other stakeholders to collectively build a vision and develop strategies to create the best possible community for young children and their families. These community partnerships receive skills building and leadership training to strengthen families, build community capacity and improve a community’s policies, resources and services to better support residents. This could be helpful for other families in the county, particularly those parents who have identified that they have difficulty in navigating public systems of services and other resources. “We are looking at Best Start for what resources the partnerships are using to help families with young children,” Wagner said. This information could help county officials develop a “network of networks” that better direct parents and caregivers to these resources. With First 5 LA’s renewed role as an innovator, convener, and curator of best practices, local government officials have responded positively to potential collaboration. With the Office of Child Protection, for instance, Wagner said First 5 LA has offered to help with the search for a consultant to help develop that agency’s prevention plan, which is in the early stages. Internally, Wagner said, his new role as Executive Vice President will allow him to continue to focus on First 5 LA’s own performance and functionality. This is especially critical as the agency continues to undergo an organizational realignment, which includes the addition of three new members of the executive leadership team and the SDA. “As we build up the executive team and bring our new vice presidents on board, I want to be sure that I support Executive Director Kim Belshé and my colleagues on the team as we figure how best to work together in our new roles,” Wagner said. And while Wagner has gone from making art projects for his childhood champion to becoming a champion for children himself, he still has plans for play in his future. He dreams of traveling to Central and South America, learning to scuba dive and turning food into art.